It wasn't too long ago that we had $4 per gallon gas prices and plenty of observers were predicting the imminent demise of the traditional body-on-frame full-size SUV. Not only did they survive that deep recession, models like the 2016 Ford Expedition are now positively thriving. Admittedly, the Expedition does benefit from last year's light refresh and better fuel-efficiency than it used to offer, but really it's the Ford's capability and flexibility that are now helping it post its best sales results for more than a decade. The recent upgrade the 2016 Ford Expedition enjoyed included a whole host of mechanical enhancements, which saw it swap its ageing V-8 for a much more contemporary and efficient turbo V-6. The Expedition has now gained an adaptive suspension system and a new infotainment system, along with a number of luxury touches. However, it retained a degree of its retro credentials by stopping short of anything as revolutionary as the new aluminum body the F-150 pickup truck adopted. The enhancements to the Expedition couldn't have been timed any better either, as some of its biggest rivals were also being refreshed with more efficient powertrains, new safety and technology, and updated styling. Of all the things that are different about today's Expedition, compared to those of a couple of years ago, the engine is probably the most noticeable and intrinsic change. The previously ubiquitous V-8 has now gone and in its place is an altogether more contemporary V-6, and it's not just any V-6 either. The 2016 Ford Expedition now has one of the Blue Oval's best engines in the form of the excellent 3.5-liter EcoBoost V-6 twin-turbo. It's obviously more efficient than the old V-8, but it's certainly not lacking in power as it produces a very useful 365 horsepower and 420 lb.-ft. of torque. All that power means the Expedition retains its impressively strong 9,200-pound tow rating, and despite the vehicle's obvious bulk, it's also extremely quick for a vehicle of this size. 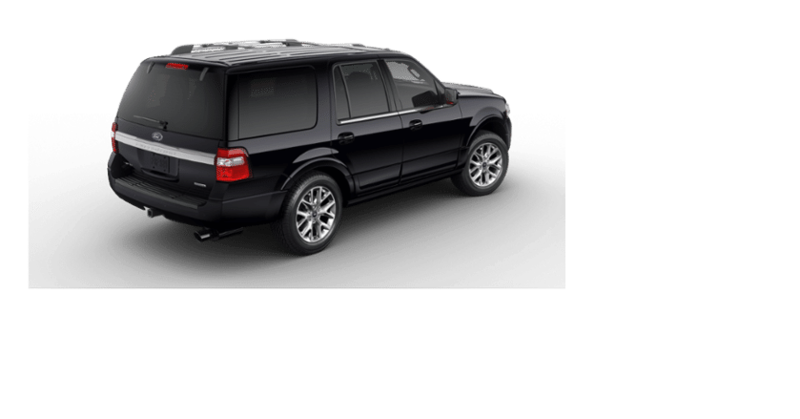 Probably above all else, shoppers choose vehicles like the 216 Ford Expedition for the amount of space they offer inside, and nobody will be disappointed here. The three-row seating means up to eight people can be accommodated in the Ford, but it also offers a best-in-class maximum cargo space of 130.8 cubic feet. If you want plenty of cargo space and need to transport eight of you at the same time, there's also the long-wheelbase Expedition EL that offers an impressive 42.6 cu.-ft. of cargo space behind the third row. Once again, that's the most of any vehicle in its class and there's also an adjustable Cargo Management System to help you keep all your things neat an organized back there. Anyone who thinks vehicles like this have had their day couldn't really be more wrong, and the Expedition is a shining example of why.